We specialize in window glass replacement. Whether you need a single broken window replaced or a full-scale home window replacement, we can do the job! Our highly experienced team of glass experts can advise you on the best options for your home and replace your windows quickly and professionally. Get an estimate today! We’re standing by 24 hours a day to serve your residential window needs. 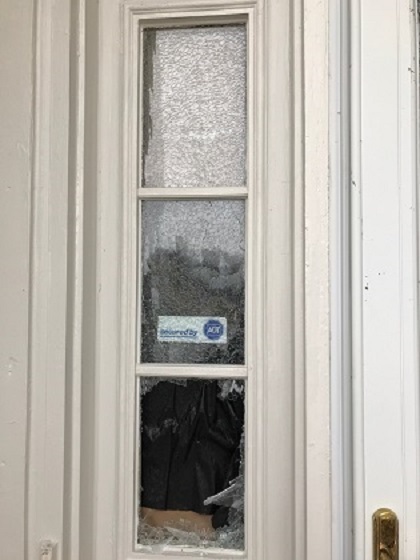 Having a security system didn’t stop someone from trying to break into this home through the front door’s sidelight window. The homeowner called us out to clean up the smashed glass and replace the broken panes.